December | 2014 | 50 Westerns From The 50s. That’s Lee Marvin as “Boats” Gilhooley in John Ford’s Donovan’s Reef (1963). John Wayne’s the guy watching over his shoulder. 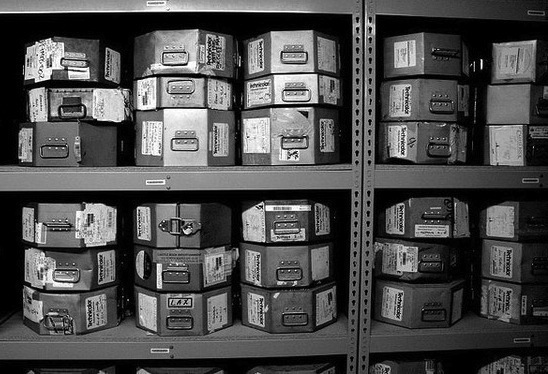 It’s a picture that if people’d quit complaining about how it’s not The Grapes Of Wrath (1940) or The Searchers (1956), they’d realize just how wonderful it is. Here’s wishing you and yours the happiest of holidays. 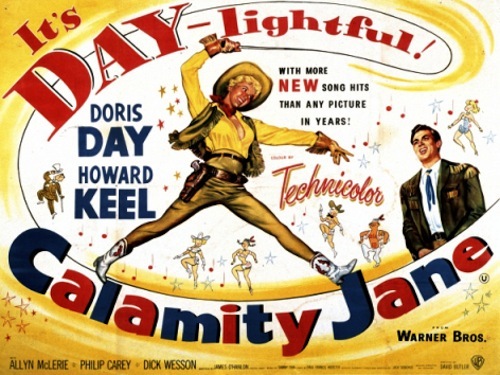 50s Westerns Blu-ray News #169: Calamity Jane (1953). 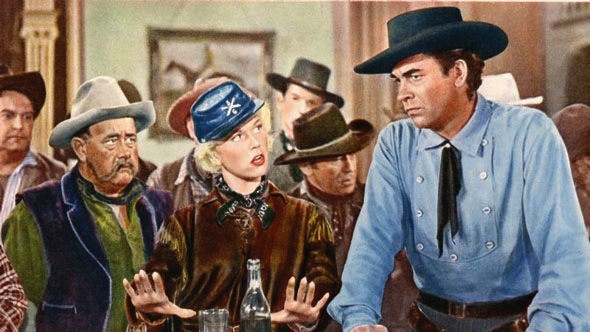 Some might wonder why I’d bother with a post on Calamity Jane (1953) coming to Blu-ray in March. It’s not a Western in the usual sense. 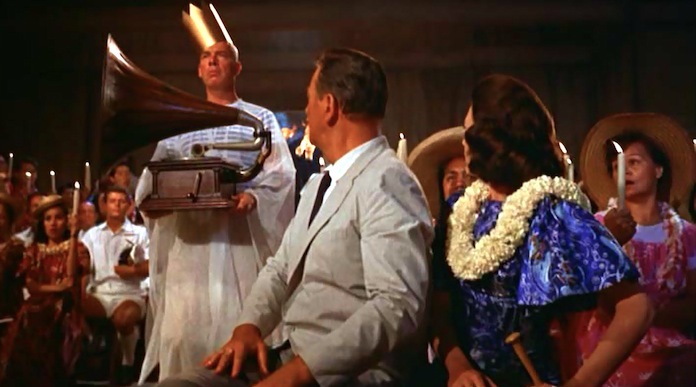 But it’s a wonderful movie, one of my favorite musicals, and it should make for a knockout Blu-ray. Plus, it’s got Chubby Johnson in it. “Hey, Dude! 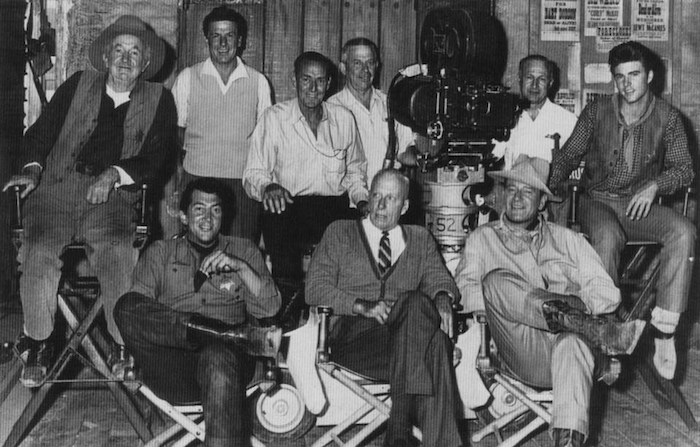 How Do Ya Like Them Apples?” Rio Bravo (1959) Heads To The National Registry. We coulda told them that years ago. Thanks for the news, Blake. 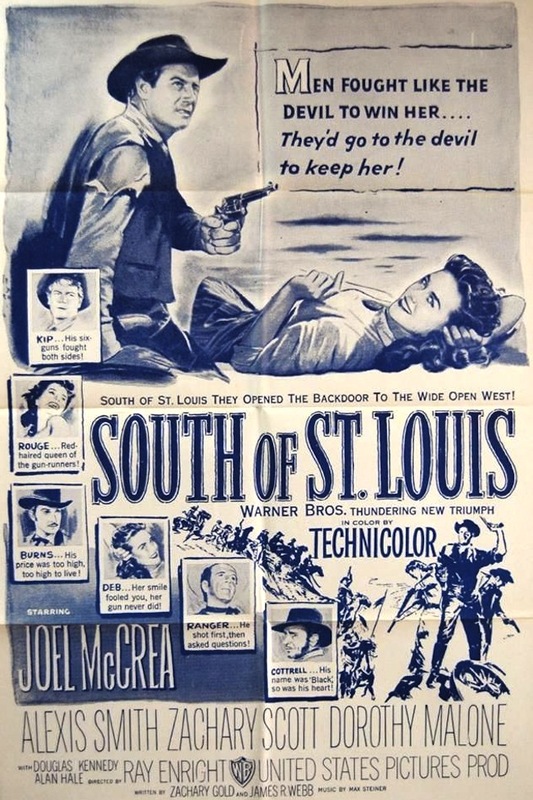 Survey: 50s Westerns Favorites And Discoveries For 2014. 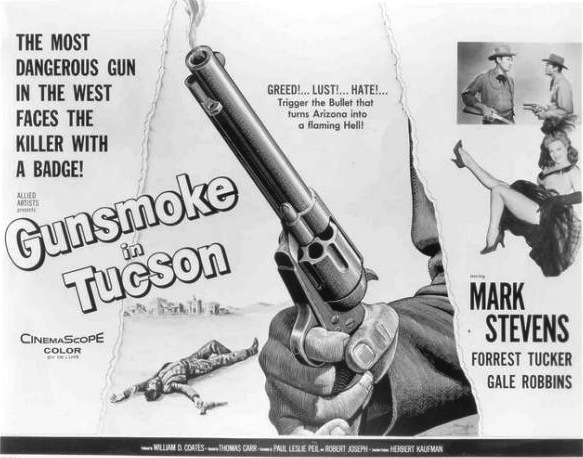 For 2013, I put together a list of my Top Five 50s Westerns DVD and Blu-ray releases for the year. It was fun, and I think we should do it again as a group. So, between now and Sunday, December 28, send me your favorite releases for 2014. They have to have been released in the calendar year and they have to have some relation to 50s Westerns. One of the real joys of this blog, as I see it, is the sharing and recommending that goes on among us all. So while we’re at it, let me know what were your favorite discoveries of 2014. 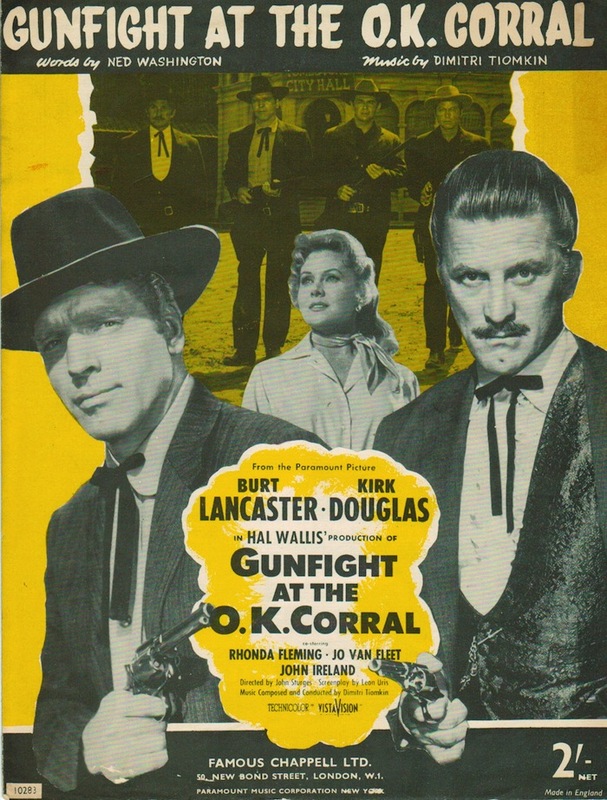 Doesn’t matter if it’s been on DVD for years, you saw it on GetTV or bummed a bootleg from a friend — what 50s Westerns did you get acquainted with this year? This was Jerry’s idea, and I think it’s a great one. For both lists, drop your picks in the comments to this post (by the 28th), and I’ll put together the results. Book: The Authentic Death and Contentious Afterlife Of Pat Garrett And Billy The Kid: The Untold Story of Peckinpah’s Last Western Film. This book falls outside the usual scope of this blog, but I’m sure many of us will be interested in it. I know I am! 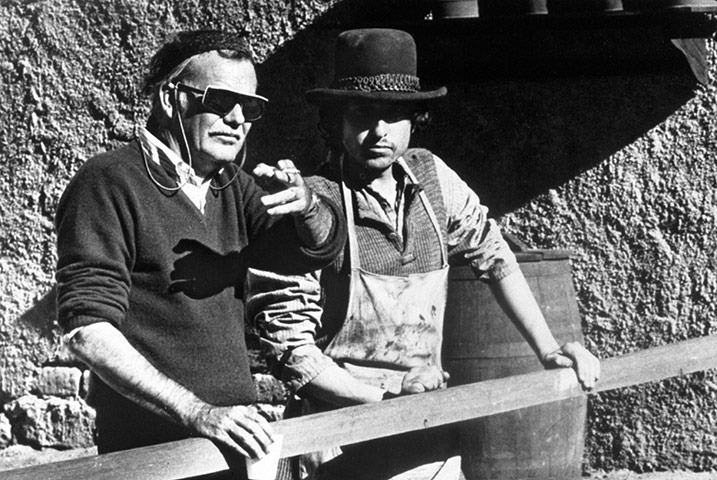 Paul Seydor’s The Authentic Death and Contentious Afterlife Of Pat Garrett And Billy The Kid: The Untold Story of Peckinpah’s Last Western Film will be available in February. I’m not sure I can wait that long. From Pat Garrett And Billy The Kid‘s troubled shooting — plagued with everything from schedule-busting camera malfunctions to liver-wrecking substance abuse — to its mutilation by MGM and eventual restoration and reappraisal, Seydor’s got a helluva story to tell. As an editor, his insight into the film’s cutting and re-cutting should be worth the cover price alone. His previous book, Peckinpah: The Western Films—A Reconsideration, and documentary, The Wild Bunch: An Album In Montage (1996), show that he knows his way around this subject. Man, I can’t wait!